This 15-mile, downhill rail-to-trail conversion is an unforgettable activity that the whole family will enjoy! Here’s everything you need to know about the Route of the Hiawatha mountain bike trail. We finally checked an item off our outdoor adventure bucket list this past week! 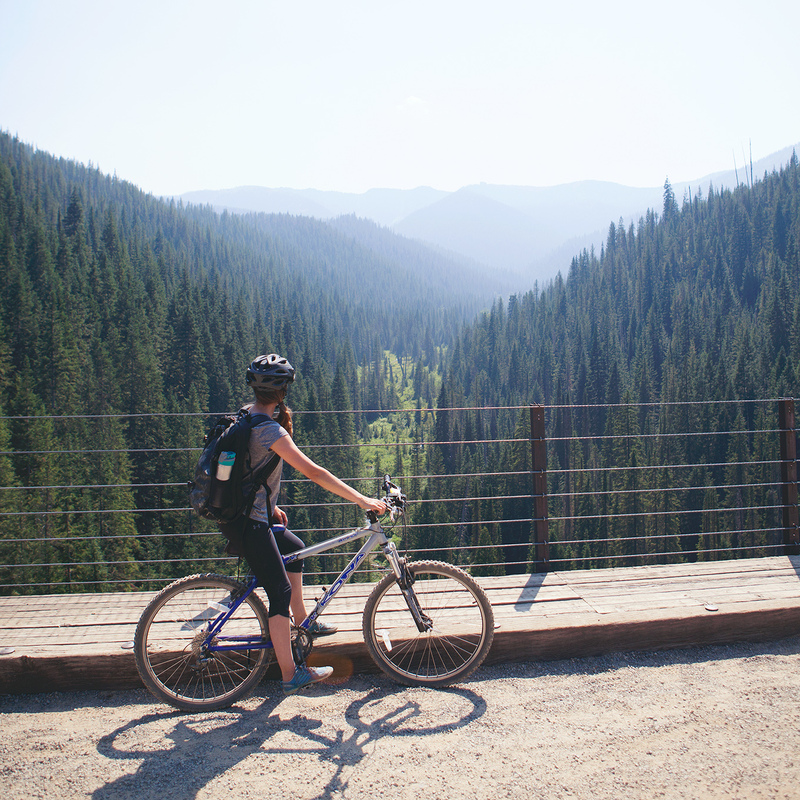 After years of wanting to, we finally road the Route of the Hiawatha mountain bike trail in Northern Idaho and it was just as incredible as we thought it would be! This trail combines the fun of mountain biking with breathtaking views all in a ride that’s easy enough for all ages and skill levels. 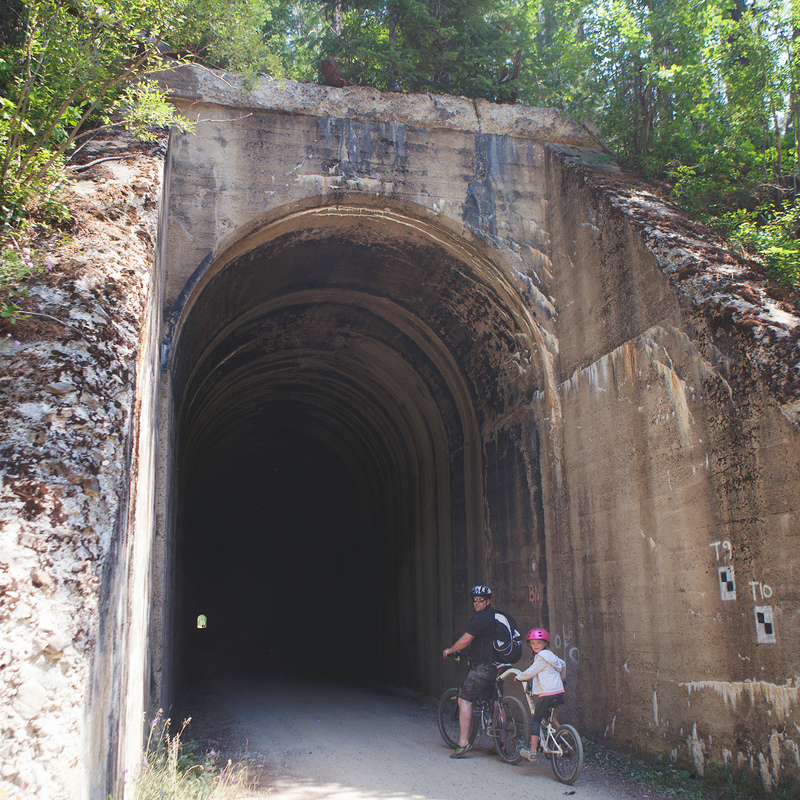 Winding through 10 tunnels and 7 sky-high trestles, this 15-mile route traverses through the beautiful Bitterroot Mountains. We travelled the trail at a leisurely pace stopping to take photos many times along the way and completed our ride in about 2.5 – 3 hours. You can view some breathtaking video footage from our trip here. Between 1906 – 1909 the Milwaukee Railway Company constructed this unbelievable stretch of track through the rugged Bitterroot Mountains. It was truly an engineering marvel! It was one of the most scenic stretches of railroad in the country, and after it’s abandonment in 1980 it was opened to bikers and hikers. The train track has been removed for years but the route is still just as it was when trains made their way across the country in the 1900s. The trail is open daily May through September 24th. Trailheads and facilities are open 8:30am-5:30pm during peak season. The trail location is remote and travel to and from made it a very full day for us. We came from Big Fork, Montana which was a 2.5 hour drive away. 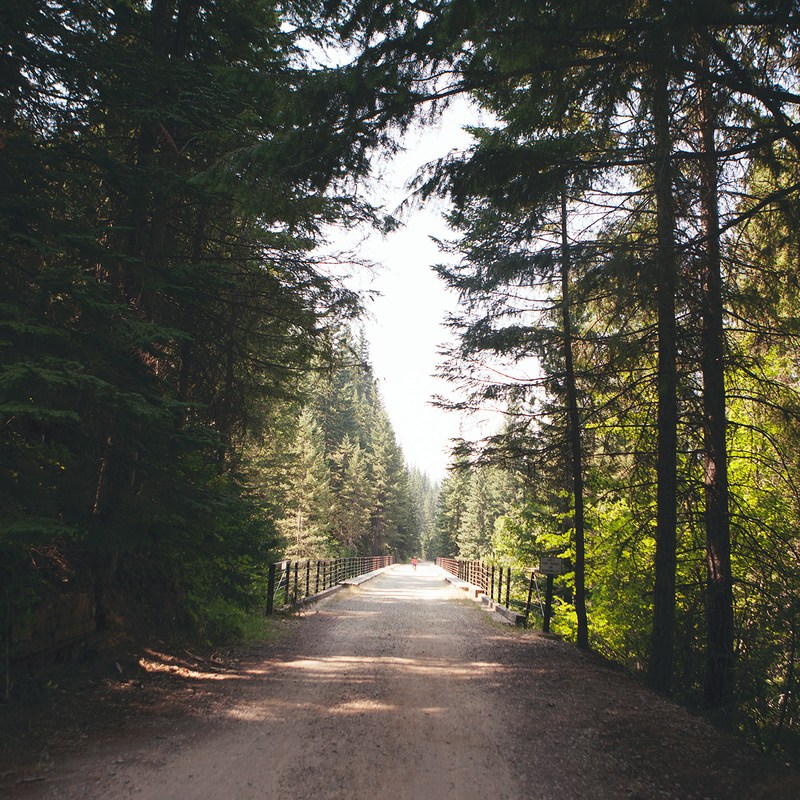 Staying in nearby Wallace, ID or making a trip of it and staying in Coeur d’ Alene or Sandpoint are great options if you’re traveling from a distance. There are detailed directions on the official Route of the Hiawatha website. You can reserve trail and shuttle passes or rent bikes online. Lookout Ski Pass Area operates the trail and is where you’ll pick up passes and rentals. It’s located right alongside I-90, Exit 0. Head here first. 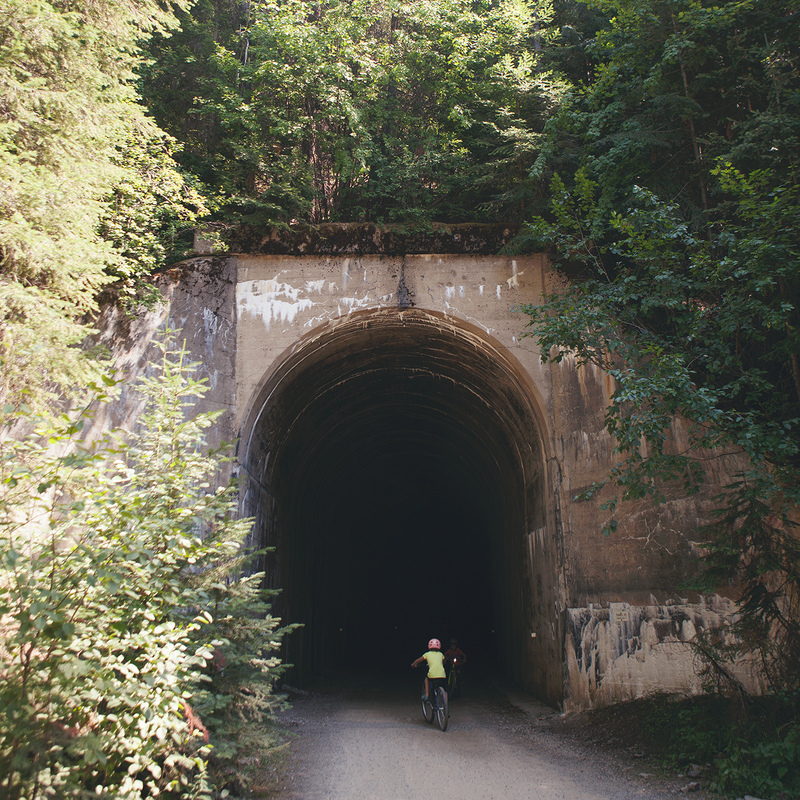 The trail begins with the 1.7 mile long St. Paul Pass or Taft tunnel. You’ll be riding through this tunnel for a good 10 minutes in complete darkness with only your headlamp to guide your way. It will be cool and damp inside so jackets are recommended. Along the trail you will pass through 9 more tunnels, none of which are as long as the Taft tunnel. On a hot day they’re a welcome way to cool off! Keep your eyes open for wildlife! We saw deer and many hikers and bikers have spotted bear and other wildlife. The trestle bridges are truly something to behold. Watch this video to get an idea of just how high these bridges are! There are 7 high trestles in total that travel through the mountainous terrain and that offer indescribable views of the forest floor below. 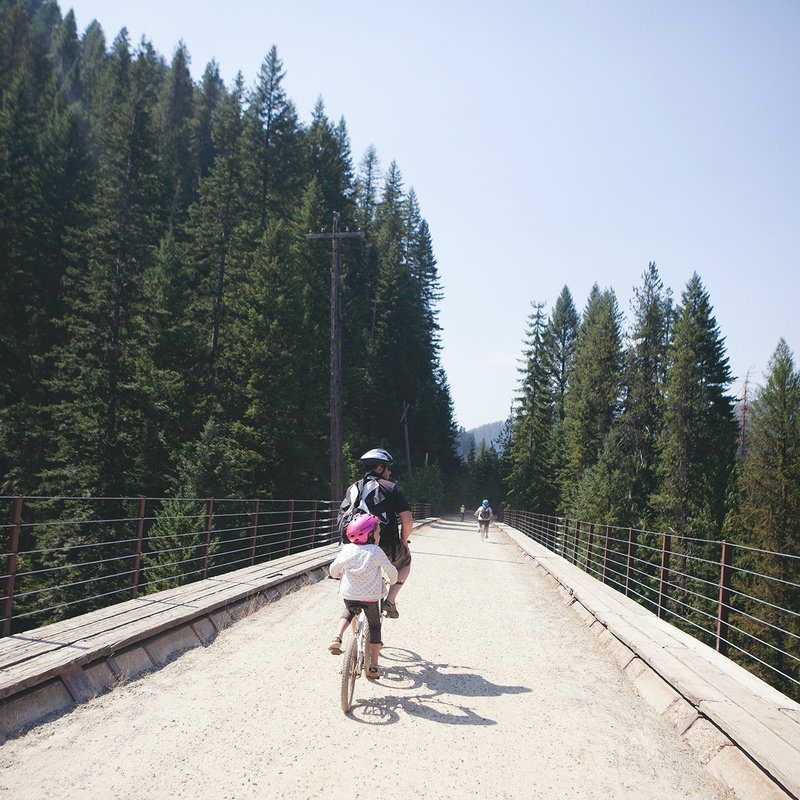 What makes the Hiawatha most suitable for all family members is the 2% downhill grade that you’ll enjoy as you make your way along the trail. It’s leisurely riding for sure! It took us about 2.5-3 hours total (that included a lot of stopping to take photos and enjoy the views) to reach the Pearson Trailhead where we caught the shuttle back up. Sunscreen and sunglasses – there are several areas along the trail without shade cover. You need a day-use pass to access the trail – can be reserved online or purchased with cash at the East Portal trail head. Pack lots of water and snacks. We encountered a longer than average wait for the shuttle at the end of the trail and realized we should have been prepared with more food. Bring a good quality head lamp, you’ll need it for the tunnels. Bike, helmet and lamp rentals are available at Lookout Ski Lodge. 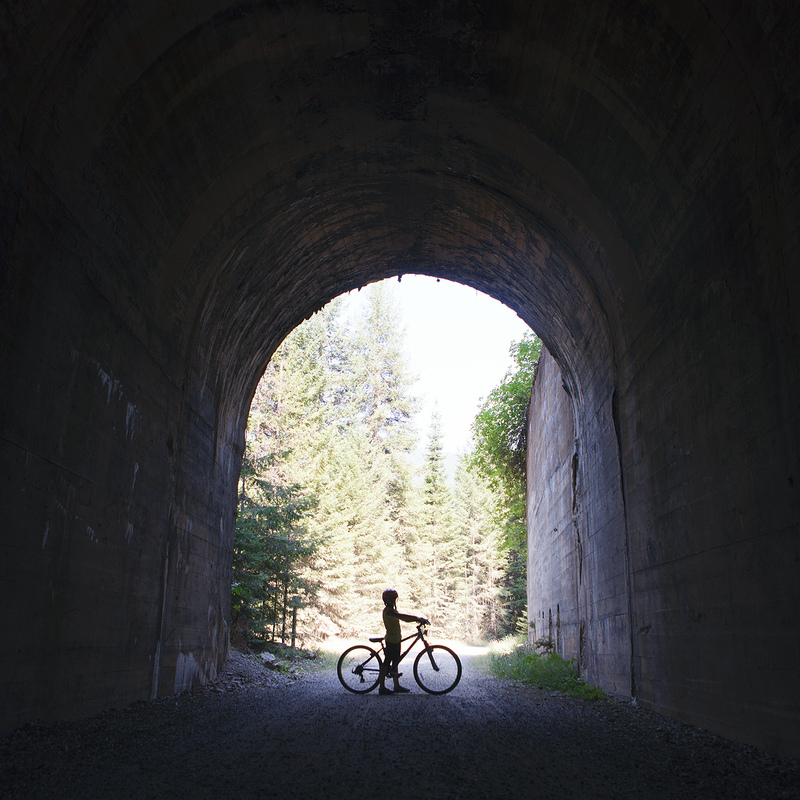 Pack a light jacket – the tunnels can be cold, especially when riding back. You can bring your own bikes or rent at Lookout Ski Pass, either way you still require a trail pass for everyone in your group. Overall, this was such a fun family activity. 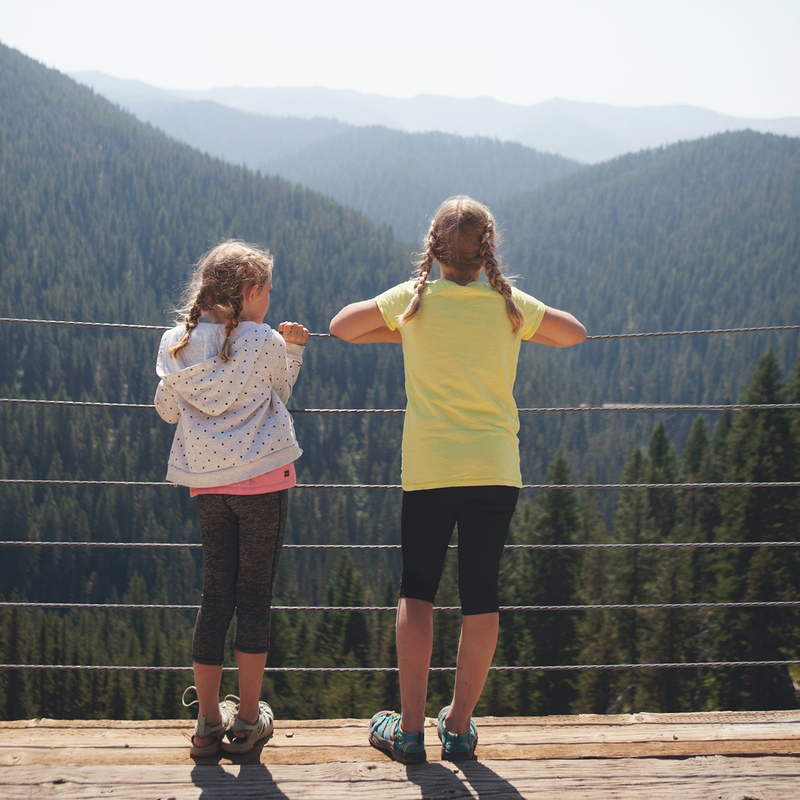 We enjoyed ourselves and were in awe at every trestle bridge and around every corner as we took in the gorgeous views that stretched on for miles. It was a full day, but it was totally worth it! For more information about the Route of the Hiawatha visit their website here and if you have any questions for us about our experience just let us know in the comments! We’re happy to answer them. How fun!!! I’ve wanted to do this bike ride for a while but it’s never worked out. Someday I’ll do it!!! What is the crime rate? I know it may sound silly but with 4 children I worry about everything. Would love to enjoy this experience. Your in a remote area of the mountains…not many people around. I am wondering about the shuttle. I’ve done the trail before, and we just paid to shuttle back up. Is there a place to park a second vehicle, so we can transport ourselves and save the shuttle fee? There is but we were a little unsure of where that was this being our first time…using the shuttle was definitely a lot easier!